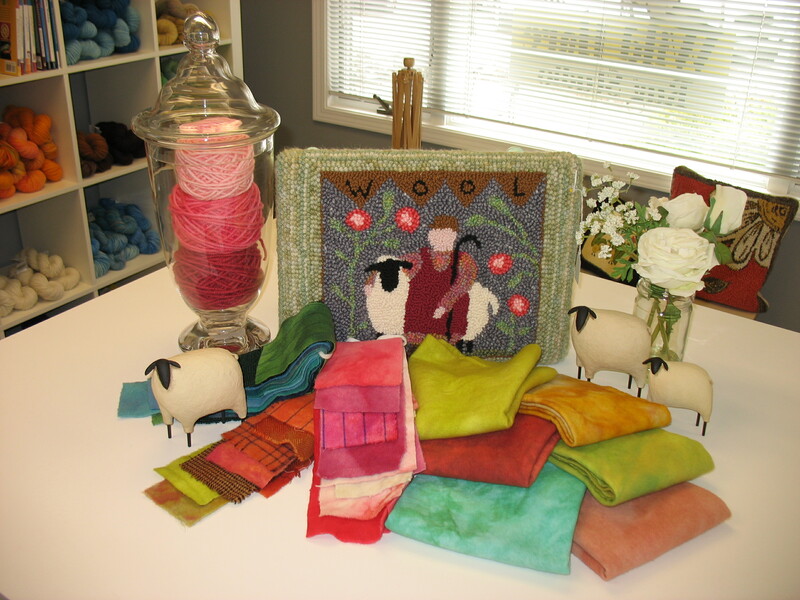 We are pleased to announce that we now carry an assortment of hand dyed wool from the Woolly Trout! The colors are beautiful and they will add just the right touch to your next project. We have full fat quarters and fat quarter bundles to choose from. It is fun to blend rug yarn and wool together into a rug. Stop in and check it out.